The Din-Nap - Dinner Napkin/Coffee filter. 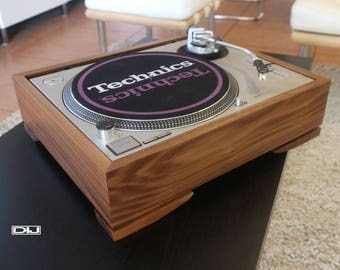 Made in solid walnut or maple wood. Made for the modern fans in mind and also a compliment to The Brick . 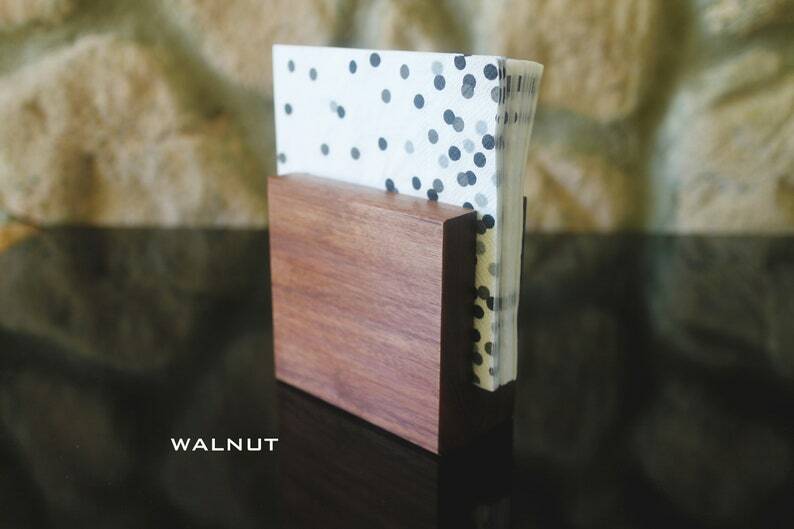 The Din-Nap is approximately 2" thick solid walnut or maple wood and measures approximately 4" x 4". Its square shape exemplifies the smooth, clean lines of what is represented by modernism and minimalism. It’s simplicity makes a statement and your guests will take note. All of our blocks are treated with mineral oil for safety and longevity. Other wood species will be available soon but we currently have walnut and maple(variations of maple may differ). Main picture shown is curly maple and walnut. --Please note, the one you will be receiving has NO laser engraving and a qty of 1. If you are interested in personalization, please check our other listing. --These are Handcrafted in the USA and may take 1 to 2 weeks to complete. 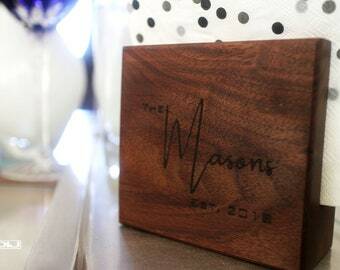 --Made from solid walnut or maple wood . Please note walnut is dark in character when adding oils to it. The picture you see has been taken with bright lights and makes it appear lighter. If you want it much lighter to match your decor then I would suggest maple. Thank you. 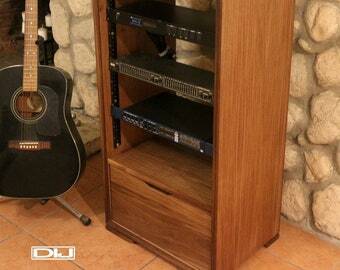 -- Due to inherent nature of woods that vary in tone, color, and grain. Each pieces is unique in nature. Very happy with my purchase. Great quality! Very high quality wood and craftsmanship. Wish they made a bigger one for full-sized napkins but this one is fantastic for cocktail size napkins. Quickly shipped, too. Another great Etsy seller! Gorgeous! Such a simple, lovely item that is happy addition to our kitchen. Thank you!